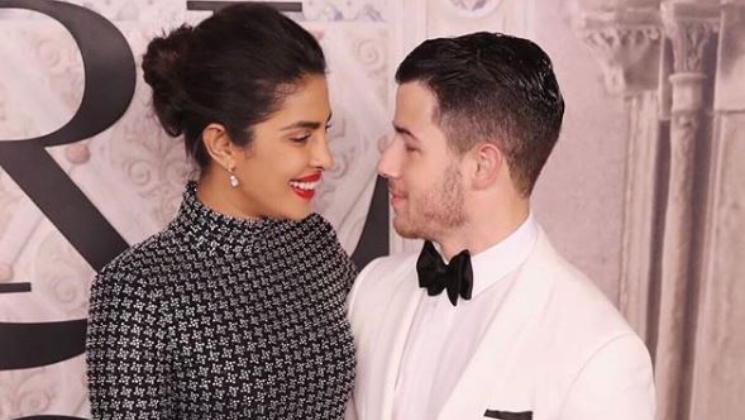 Priyanka Chopra and Nick Jonas to get a marriage license in the United States? Home Bollywood Gossip Priyanka Chopra and Nick Jonas to get a marriage license in the United States? The big day of Priyanka Chopra and Nick Jonas is on December 2 and the rituals will start from November 29 as per reports. The two met at the MET Gala and then fell for each other. After dating for almost four months, the duo got engaged to each other in a traditional roka ceremony on August 18 this year in Mumbai. Now as per a latest report, Priyanka and Nick have obtained a marriage license in the United States. As per the reports in The Blast, the couple showed up last week to the Beverly Hills Courthouse and filled out the paperwork to obtain a marriage license. The couple is also planning to bring the license with them to India for their wedding in December and after that, they will file the license in the U.S. to make the marriage official in both US and India. Just ahead of the marriage, Priyanka enjoyed her bachelorette life with her girl squad including her sister-in-law Sophie Turner and cousin Parineeti Chopra. The pictures from her bachelorette are still going viral on the internet. Post that, PeeCee returned back to India with Pari to ring in Diwali with her family. Yesterday, we came across pictures of the actress celebrating the festival with mom Madhu Chopra and brother Siddharth. Unfortunately, Nick couldn’t make it due to his work commitments. As per reports, there will also be a Christian wedding followed by Hindu rituals. Yet, the couple has not yet confirmed anything. For more updates on this, keep reading our space.